Also new today is a neat little tool that prevents your email client opening when you click an email link. Check out “I hate mailto” on Product Hunt today. 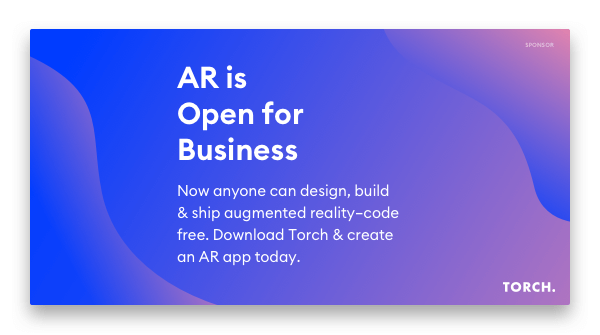 Our sponsor this week is Torch, who have just launched version 2.0 of their Augmented Reality prototyping app. Top reads from the blog. 8 stories from the community worth your time.